Murdoch said they had trouble coming to terms with the concept of commemorating a history that ignores the tumultuous relationship between indigenous peoples and the rest of Canada. 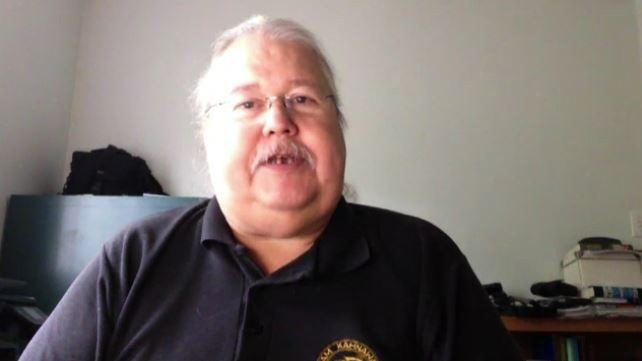 The traditional storyteller and teacher said he thinks the majority of indigenous people won’t be celebrating Canada Day this weekend and that some will even be out protesting the occasion. Murdoch and his fellow co-creators developed #Resistance150 as a way to inspire other indigenous people to reclaim what they lost during colonization. They also want to bring attention to the problems of climate change and resource extraction in Canada. 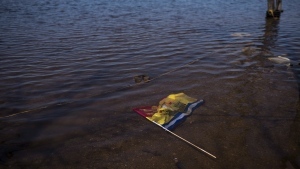 In order to achieve the first objective, Murdoch said the group created a camp called Nimkii Aazhibikong on Ompa Lake, located about 20 kilometres north of Elliott Lake, Ont. this year. He said indigenous youth and children attend the camp’s classes to learn about traditional languages, culture, and the environment from visiting local elders. On Canada Day itself, the #Resistance150 movement plans to spend the day at the camp holding language immersion classes for the younger generations. “The resurgence of who we are is our resistance,” Murdoch said. The group is using the #Resistance150 hashtag on social media, Murdoch says, to bring attention to the negative effects of climate change and their dispute with the government over land ownership. He said they wanted to send out “red flags” to highlight these problems to the rest of Canada. On top of sounding the alarm over how resource extraction and pollution is hurting the environment, Murdoch said the #Resistance150 movement is also calling for the abolition of the Indian Act, which was first introduced in 1876. Murdoch said First Nations across Canada are still talking about it and demanding the land be returned. The #Resistance150 group isn’t the only one calling for the end of the Indian Act. Another campaign called “Unsettling Canada 150” is co-ordinating a National Day of Action on July 1. The campaign is protesting the confiscation of indigenous lands. They are also urging the federal government to implement recommendations from the Truth and Reconciliation Commission and the UN Declaration on the Rights of Indigenous Peoples. 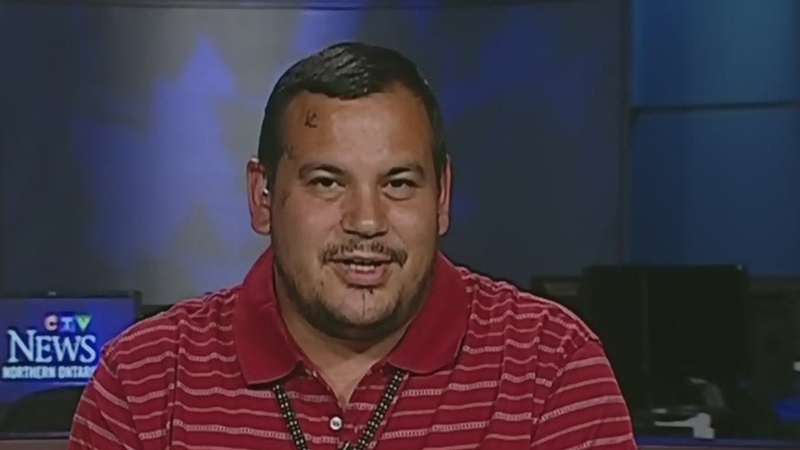 Organizer Russell Diablo told CTV Edmonton on Sunday that the Indian Act is still controlling and managing the lives of First Nations peoples. Unsettling Canada 150 is asking supporters to host local events, rallies or public forums on Canada Day to grow the movement. In response to the formation of groups like Unsettling Canada 150 and #Resistance150, the press secretary for the Minister of Canadian Heritage, Pierre-Olivier Herbert, issued a statement to CTVNews.ca on behalf of the department charged with organizing the official Canada 150 events. 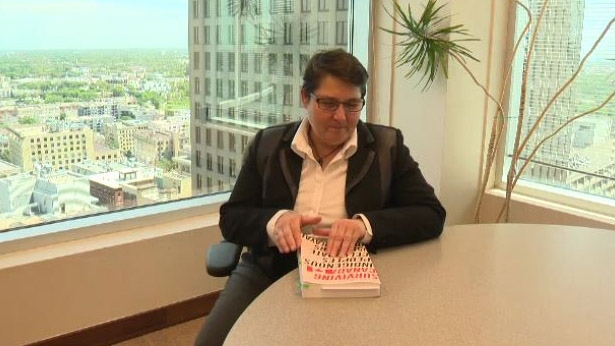 Myra Tait, a University of Manitoba law student and a member of Berens River First Nation, told CTV Winnipeg on Tuesday that she teamed up with co-editor Kiera Ladner to create book to show Canadians how some indigenous people view the upcoming Canada Day celebrations. It’s titled “Surviving Canada: Indigenous Peoples Celebrate 150 Years of Betrayal” and contains the writings of more than 40 authors. “It’s filling in some gaps I think in knowledge of what Canada’s true history is and that it didn’t simply start in 1867,” Tait said. Unsettling 150 is also intent on educating the public on the country’s relationship with the indigenous population. The group is planning to set up a display in Winnipeg’s Osborne Village neighbourhood on July 1. “This is not a protest as much as it is an opportunity for us to publicly engage people and passersby who are enjoying the Canada Day festivities,” organizer Chuck Wright said. Tait said she doesn’t have a problem with Canadians commemorating Canada 150, but that it’s important they recognize why some of the population won’t be participating. “There is a lot wrong, but not everything so we can still celebrate, but celebrate in a way that’s informed,” Tait said. Murdoch said he hopes the indigenous movements and awareness campaigns will alert the government and the rest of Canada to the ongoing problems of Canada’s First Nations. “We all have to work together. We have to work through the land issues. We have to work through the environment issues so that we can all have a good secure future for our children,” Murdoch said. 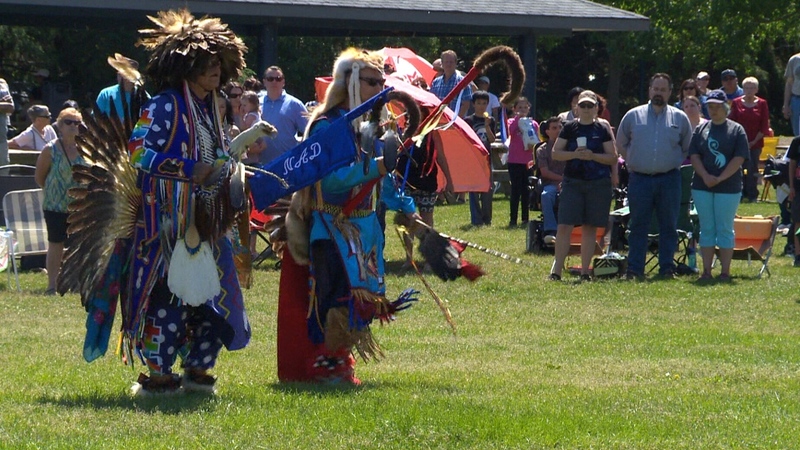 First Nations dancers celebrate Aboriginal Day belatedly in St. Albert, Alta. on June 25, 2017. Anishinaabe traditional storyteller and teacher Isaac Murdoch talks to CTV News Channel about #Resistance150. Myra Tait co-edited a book that shares indigenous perspectives on Canada 150 from more than 40 authors. Unsettling Canada 150 organizer Russell Diablo speaks with CTV Edmonton about the movement.